November 2017 | emma etc. If you've been paying ample attention to my blogging schedule this year (unlikely), you would have clicked that I haven't done a proper book review post since August. What can I say? The last few months reading has got away from me. I've chosen to ignore my 50 book reading goal for the rest of the year, because reading books like it's a competition just doesn't work for me. I'm really excited to read the books I'm simply most interested in, that are sitting on my TBR pile, because life's too short, or something like that. 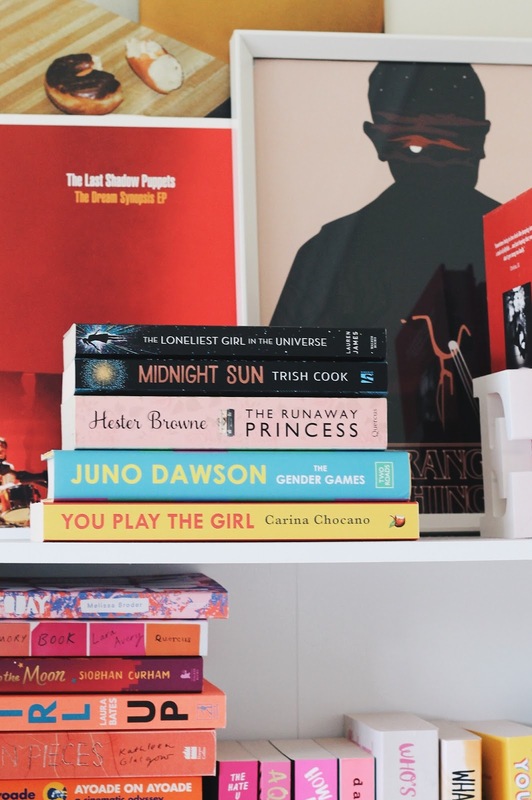 I have five books to talk about today that I've read in the past couple of months, or mostly in November, from non-fiction on gender and sexuality (a personal favourite), to space-themed young adult fiction. Having read this about a month ago, when it comes to write this review I can't say I feel particularly excited about this book because it was an okay read, but nothing amazing. I think I expected more from this. That is because for the majority of the story, we follow the main character Romy, who is emailing other people and reading fanfiction alone on board of a spaceship. There wasn't too much action, until the end, which is fine, but probably not what I expected. This is a pretty short read, so in that way, it wasn't hard to finish this, but there just wasn't enough oomph for me, until near the end when things start speeding up. One thing I am glad of, however, is that Lauren James didn't just leave this as a cliche book about love - there was definitely more to it than that. I haven't even starred this book on Good Reads, so at the moment I'm pretty indifferent to it. I'm not sure if I'm growing out of young adult fiction a little, or I'm just not hitting it very lucky with the books I read. I think there are so many amazing YA books out there, but this is not one of them. It combines a bunch of cliches from other popular books, and I kind of think it's the type of story that just sells. 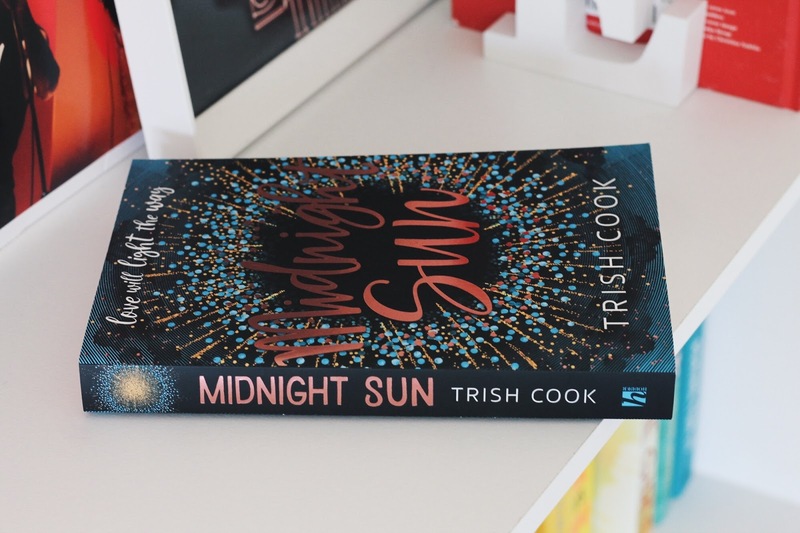 It's about a girl who can't go out in the sun because she has a rare disease, and yes, fair enough, this is an interesting and important story in itself, but when love becomes the main objective in the end, it just gets a little tiring. I skimmed the last few chapters of the book because it was so predictable and I knew it wasn't worth a serious, in-depth read. I wait for the day where we don't have to see the popular guy in high school automatically like the weird, nerdy girl for literally no reason. My friend gave me this for my birthday, and I had to ignore my TBR pile in favour for this, because she obviously knows me really incredibly well. I do love reading more complex or ~serious~ books some of the time, but what I truly enjoy reading, is probably most of the time, trash. This contemporary romance isn't like some can be though - it's funny, witty, very British and overall really entertaining to read. In other words, it's the perfect 'summer read', and while I'm at it, probably great to settle down with in bed in the depths of winter. Think The Princess Diaries and The Christmas Prince (if you've seen the new Netflix original film), but this book is way better*, because it isn't just some fairytale romance. It features all the good stuff like intense eye contact and flashy events, but it also explores important themes and is still grounded in reality. Amy Wilde, the main character, is a worrier, and just a regular person compared to the royal family she soon comes in contact with. But Amy doesn't just jump into Leo's arms from the get-go, and even up until you're nearing the end of the book. She has a family, she has a career, and places incredible importance on that career and doesn't just cave in for a handsome prince. This was what I really liked and is why The Runaway Princess goes beyond what some 'women's fiction' (I don't particularly like that label) does. The book I've most recently finished and undoubtedly my favourite. Whenever I read non-fiction, particularly on the subjects of gender and sexuality, I always wonder why I don't read more of it (or not, in the case of You Play the Girl). The Gender Games was such an easy read because it was entertaining and interesting, and just plain well-written and witty, however it was still incredibly valuable, informative and important. I have never read something from the perspective of a transgender person, and I'm so glad I have now, because I think it's really, really important to read as diversely as you can (something I'm still working on). This book isn't a memoir, but includes anecdotes and stories from Juno's life where she lived as a gay man and eventually began her transition to a woman. She explains the most basic terms and ideas which means this is great for someone starting out reading about gender and sexuality, but it's equally as great for someone who has read a decent amount about it. I really can't recommend this enough. It's funny and engaging, and to the point, but doesn't gloss over things. *However, nothing can beat The Princess Diaries - don't fight me on that. I'm not going to lie, I thoroughly enjoyed venting and sharing my thoughts about these books - the good and the bad. Music is a subject I love talking about, so it was inevitable I would end up with a record collection post on here at some stage. I was lucky enough to get a record player for my birthday, and now that I have a speaker to go along with it, I thought it was just the right time to talk through the records I own. Of course, I don't really have an extensive collection but it's something I hope to build up over the next few years - because they're quite expensive! My record player is the Audio Technica AT-LP60-BT in black (here's another photo of it on my Instagram), and the speaker I have is the Bose SoundLink Mini Bluetooth Speaker II. 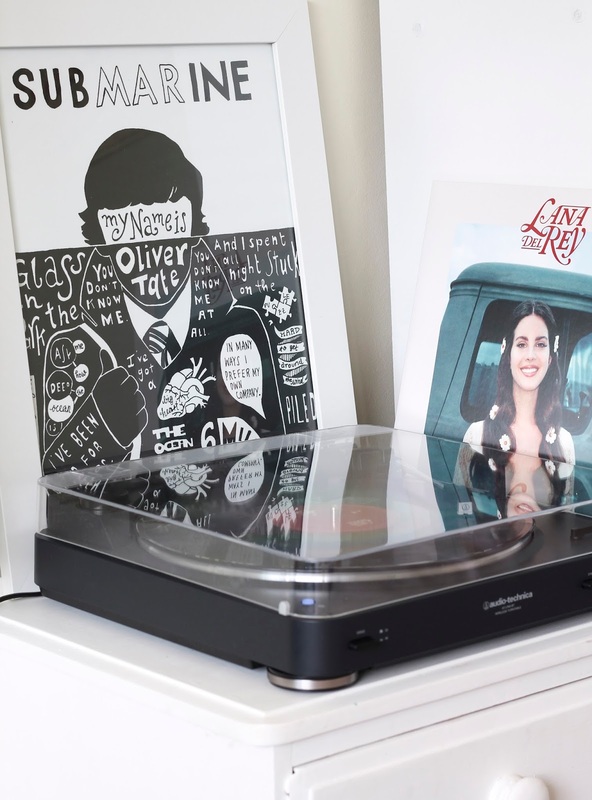 This set up is actually what Tenneil has (she has an amazing blog - you should follow), but I didn't know I would be getting a record player for my birthday, let alone this one. My old record player - quite a cheap one - broke a couple months ago, so I'm over the moon that I now own a decent model. This particular one is designed to be used with a bluetooth speaker but it does have a wired function. I chose to go with the Bose speaker after hearing it had pretty amazing sound, and because it's small and wireless it was perfect in the end. Luckily, thanks to a Black Friday sale, I got more than a hundred dollars off this speaker - regardless it's definitely worth the money. The first record I bought was Yumi Zouma's EPs I & II a few years ago when browsing at Real Groovy. It was bought on a bit of a whim, however I had recently discovered the band and loved the chilled, sometimes ethereal vibe they had. I don't listen to them a whole lot now, but I'm determined to give all my records a better listen now I have a better turntable. The next two records are definitely thanks to my Dad and his music taste. 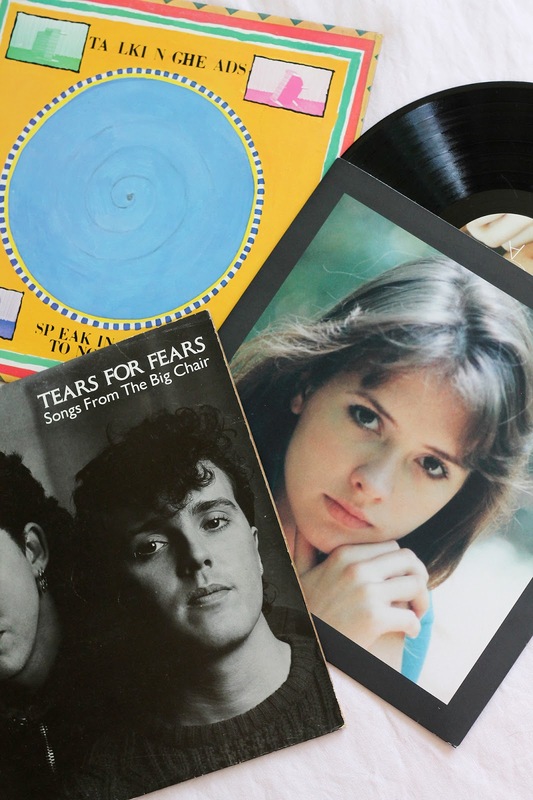 Originally owned by him, Talking Heads Speaking in Tongues and Tears for Fears Songs From The Big Chair are welcome additions. While this Talking Heads record doesn't have all my favourite songs from them, and my favourite song Burning Down The House skips because it's old, it's still much loved. It's a similar story for Tears For Fears - although I love a couple of songs I'm not an avid fan. But when it comes to the likes of The Last Shadow Puppets, I am very much so a fan, if it isn't obvious enough. 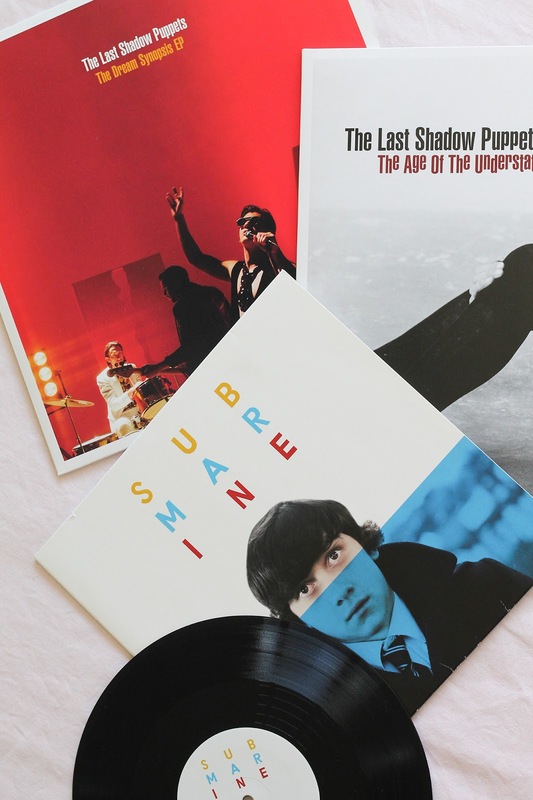 While I'm actually missing my favourite album (Everything You've Come to Expect) - and I need to buy it ASAP - I own The Age of the Understatement and The Dream Synopsis EP. The former was bought around December last year in all it's red limited edition glory, and has been played copious amounts since. I mainly love it because it includes live versions of their songs, plus covers. As for the other LSP album, there are some absolute bangers on there, no to mention the amazing lyrics. Now if Alex Turner would kindly hurry up with the next Arctic Monkeys album? On the subject, the Submarine soundtrack is one of my prized possessions and the perfect record to play in a dark room as the sun sets on a summer's evening. Blossom's debut album is absolutely solid and if you've never listened to them, you should. Because it's expensive to buy vinyl, I tend to pick carefully which records I'd like to buy and in this case it was a no-brainer. I love this album from start to finish, and I do think there's something special about listening to an entire album rather than one song. Something to Tell You, Haim's new album, was practically a must-have after I fell in love with it in about five seconds. I can't believe we lasted that long without any new Haim music, but it's safe to say I'm loving their revival - and their outfits on Instagram of course. I would go as far to say I feel sorry for anyone who hasn't listened to their music yet because let me tell you, you are missing out! The two latest additions are Lana Del Rey's Lust For Life and Kendrick Lamar's DAMN, both I got for my birthday (someone certainly knows my music taste). These have two records each because they are pretty big albums - one of the things I love about vinyl is the artwork that comes with each record and the fact they are physical objects you can keep forever. I've always been a pretty big fan of Lana Del Rey, but I'm particularly in love with her latest album because there's something a little different about it, but her melancholy tone is still there. Most of the records I own here are much loved and are some of my favourite albums ever, but I'm still deciding what to buy next! I've always wanted to try Becca products, especially after viewing many of The Anna Edit's YouTube videos where she often raves about the pressed highlighter. I'm always looking for ways to inject more glow and luminosity to my face, so this seems like the perfect option to try, especially because it's relatively affordable compared to the full-sized products. Sephora has some other kits available, not to mention a gorgeous limited edition Christmas palette which is very expensive but so pretty. Mecca have some hella nice holiday packaging at the moment, and even though I'm yet to purchase any sets from there yet, I do have my eye on this gorgeous looking cheek palette which has a contour shade, highlight and blush shade. The blush looks ultra bright and pigmented but I have a feeling it will look really wearable on the cheeks, and I'm lacking in a nice bronzer or contour shade at the moment so this palette would come in handy. There is a part of me that feels a bit guilty for dropping so much cash on one product, but we'll see! Sophie actually gave me one of these shadows in the shade Kitten Karma as she knows I've been lusting over them for ages. This set of three is such a good gift in my opinion, or if you've been wanting to try them yourself. Although I haven't tried out this eye shadow properly yet, I have swatched it on my hand, and seen how it looks on other people. These are ultra shimmery and so perfect for Christmas time, festive parties or New Years Eve. This set isn't too expensive either which is always good. If you're looking for a palette that does it all, this is definitely it! It has three natural eyeshadow shades, a bronzer and highlighter, and two pretty blush shades. This would be especially great for travel because you have nearly everything you need in one place. Each shade is embossed with where to apply it which makes everything super easy. I also have my eye on the luxury palettes with four eyeshadow shades - so pretty! Feel Unique have some really affordable Christmas sets at the moment and this hair one caught my attention, mainly because I love the Pureology shampoo and conditioner that's included. Although these are a mini travel size, this pack is great value for money considering Pureology products can be pretty expensive. This gift set also comes with a hair oil and hair ties, and would make a pretty good stocking filler I think! Recently I tried the Kiehl's Ultra Facial Cream and I fell in love pretty much instantly. Many bloggers and YouTubers have raved about this in the past and I can certainly see why. Although we're coming into summer, I can see this would be a great moisturiser for winter, or if you have particularly dry skin. This makes my skin so glowy and continuously moisturised, even when I wake up the next day. It is a bit heavy at times, which is why I'll just be using in the evenings from now on. The Christmas edition would be a great gift for someone or even yourself! It's definitely a fool-proof moisturiser in my opinion. 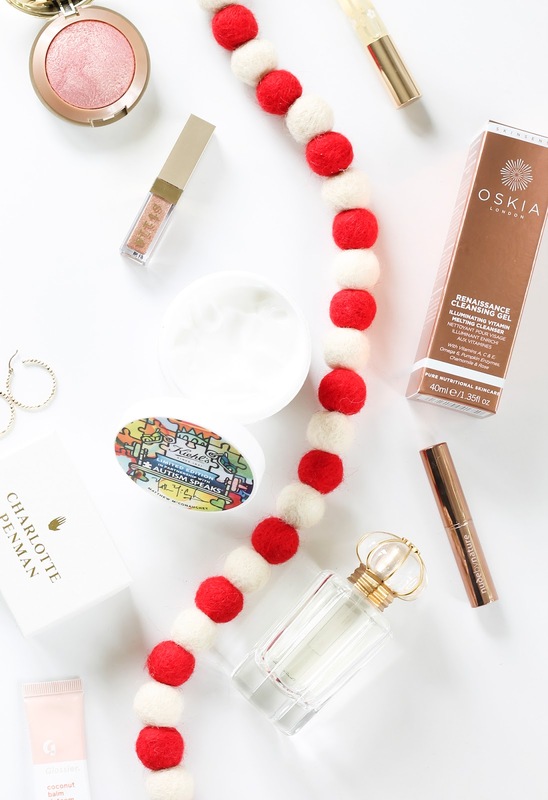 I hope you enjoyed this post with some of my beauty recommendations/ideas. I thought it would be nice to do a little Christmas post a bit earlier so you have time to buy. I rarely do a good old book haul these days, so that is just what I'm giving you today. I haven't been buying many books this year, but I thought it was about time I made an order on Book Depository now I've finished university. There are a couple of review copies in the mix in the theme of historical fiction, fantasy, plus a good dose of non-fiction. I love Richard Ayoade for his films and self deprecating humour, and of course now his foray into the publishing world. Some people have understandably mistaken this book as being entirely written by the man himself, but as Ayoade explains in the introduction, it is actually by the relatively unknown Gordy LaSure. That won't deter me though, because Ayoade comments on what LaSure says throughout, which will ~probably~ generate a chuckle or two. As you've probably guessed, this book is all about films, but apart from that I'm sure what to expect. You know me - I love a good discussion about gender stereotypes. As I've said before, I would probably love studying gender at university. So far I've read one (YA fiction) book by Juno Dawson which I thoroughly enjoyed, and now I'm dipping into her non-fiction. Buying this book was a complete no-brainer to me for obvious reasons - if you've never checked out Dawson's books I would highly recommend (and I need to get her other ones). 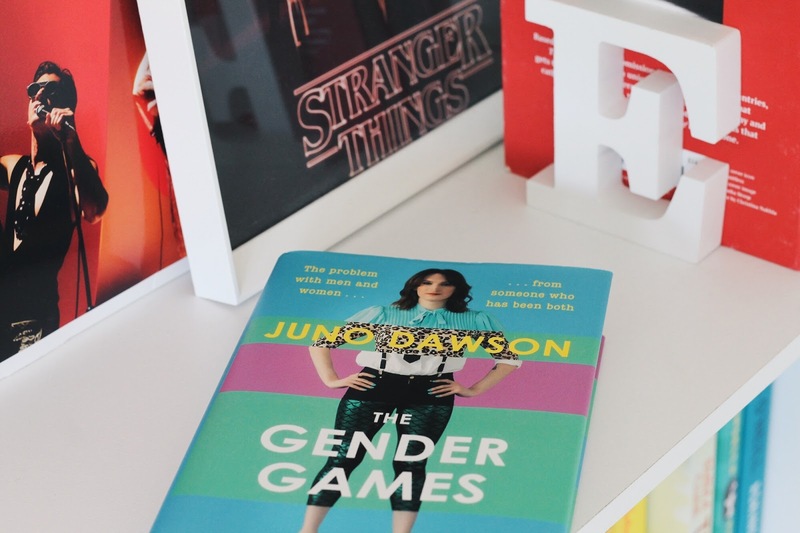 If you don't know much about Juno Dawson you might not know she transitioned from male to female, so this book is her take on what it's like to be both genders and what problems come with being male and female. I don't know what it was - maybe a first watch of The Boy in the Striped Pyjamas a couple of months ago - but suddenly I wanted to read more historical fiction. I find history as a subject incredibly interesting, but more than that, I do like getting caught up in an absorbing mystery. There are many, many books that tackle the subject of WWII but I'm yet to really read one which is why I think this will be a nice change from my typical contemporaries. This has been compared to All The Light We Cannot See, which I've seen just about everyone rave about, but apart from that I don't know much about this book. It was love at first read when I picked up The Humans by Matt Haig a couple of summers ago. I really want to reread that book, but unfortunately it was borrowed from the library. Anyway, his latest book is How To Stop Time, the story of a middle-aged man who has been alive for centuries unbeknownst to everyone around him. He works as a history teacher, using it as an excuse to retell tales he actually witnessed and lived through. Matt is a really good writer and is always imparting some kind of wisdom on his Twitter, so I'm really excited to get into this. This is actually going to become a movie eventually too, with Benedict Cumberbatch as the lead. As mentioned above, this book has been raved about by a lot of people. It was the winner of the 2015 Pulitzer Prize for Fiction and is a New York Times bestseller. Once again, I don't know that much about this book apart from the fact it's a historical fiction and set during war. The blurb says it's about a blind French girl and a German boy whose paths collide in occupied France, and they're both trying to survive the devastation of WWII. I have no doubt this will be a touching, emotional story - I'm looking forward to a good cry to be honest. Have you read any of these books/which ones would you read?